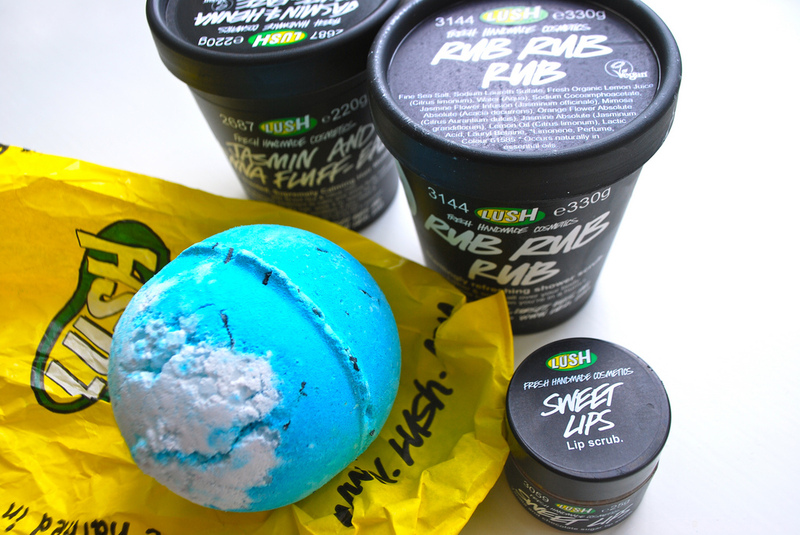 the beauty series | uk beauty blog: guest post: rachel phipps shows us her lush haul! hello beautiful people. I've decided to ask a few great bloggers to help me out with some guest posts for the next few weeks. I'm excited about it as not only will you be able to find some great blogs from it but I've been a bit lazy and these kind of posts are great when I haven't got anything else coming up. Though saying that I have about ten half finished posts to get on with and tons of products to talk about. Anyhow, my first guest blogger is the lovely Rachel Phipps so I will shut up now and let her do the talking..
Hi everyone! I'm Rachel from rachelphipps.com, and I've agreed to share my latest Lush haul with you all. I love Lush products; the smells, the paging and the fact that everything is completely natural so it is kind to my uber sensitive skin. 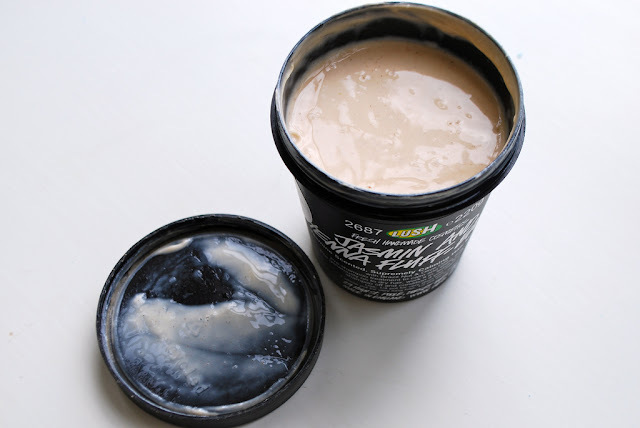 I've been looking for a really good, extra grainy shower scrub for a while now so I thought this one looked really good when I first saw it on Lush's website. It's a pretty blue colour but it smells a bit like cleaning fluid, but only slightly - not the most pleasant Lush scent I've come across. However, once you start washing with it the scent becomes more pleasant and nice to wash with. I works and scrubs really well and leaves your skin well moisturised. The only downside is that it is rather salty, so if you have any open cuts or sores using this scrub on them will sting quite a bit. It's £7.35 a pot and I will be buying it again. 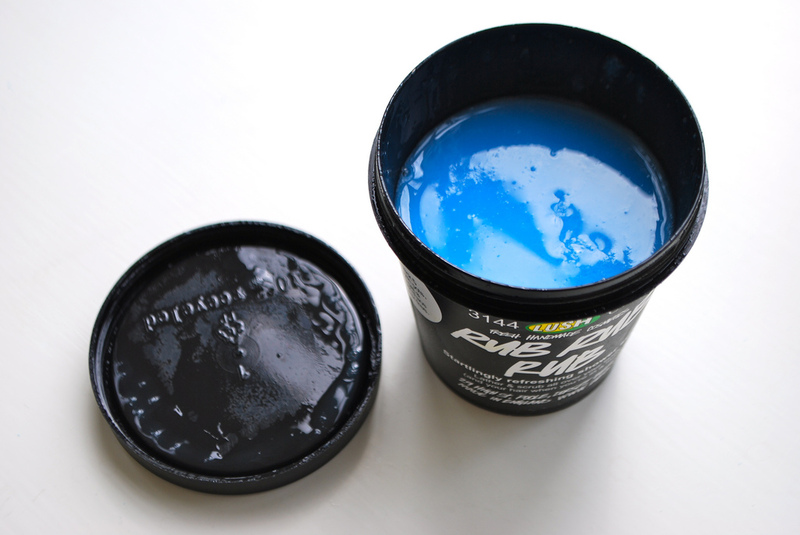 This is my all time favourite hair mask, and this is my second repurchase since I was originally set a tub by the lovely ladies in the Lush press office. It smells beautifully of jasmine, makes the room where you're sitting when you leave the mask on smell amazingly of jasmine, and the smell lasts on your hair for a couple of days, even if you wash your hair every single day like I do. The mask claims to de fluff, but it does not really do this to my hair. However, what it does do is make it cleaner, softer, silkier, easier to manage and cleans out any product residue that may have been collecting around my roots. It's £10.90 for a tub and with my medium length hair I get 3-4 treatments out of a pot. I suffer really badly from dry lips, so after reading about using an exfoliating scrub on your lips on several different blogs, I decided to give this one a try. I wasn't sure at first, but after a few uses I found that my lips were smother, softer and less prone to chapping. I also had to use lip balm much less often and my lipstick went on much easier and stayed on much longer. At £5.00 a pot you could probably do the same job with a homed sugar scrub, but regardless I will be buying this again, and trying out the bubblegum and mint versions as well! 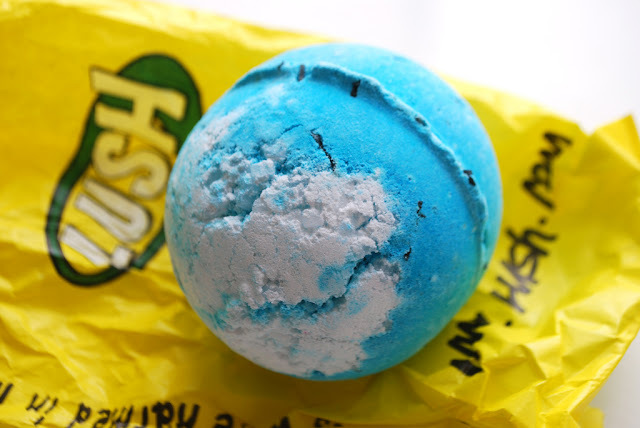 I love the clean, fresh ocean like smell of this bath ballistic, and the beautiful bright shade of blue it turns the bath water. The smell also lingers on your skin and in the bathroom for ages afterwards. It is not as moisturising as some other Lush bath ballistics, such as the Butter Ball for instance, but the pieces of seaweed that are relaxed claim to soften your skin. I love this ballistic and will be buying it again (and it's only £2.99) but the seaweed is awkward to clean out of the bath and I'm not sure it does much for you! What did you buy in your last trip to Lush? Have you tried any of these products - what did you think of them? Thanks Rachel! Let me know what you guys think of guest posts and if you enjoyed this one.. I suffer from really dry/chapped lips, definitely going to try the lip scrub! I love the lip scrubs! I have the pink one and it's great! I've seen so many reviews of Lush products, and so many posts on Tumblr about people receiving them and falling in love with the results, so I think I'll give them a try! Thanks for this review.